In 2017, RVNG Intl. launched a new sub-label called Freedom to Spend. The imprint was actually a re-boot of a fledgling endeavour started by Pete Swanson (Yellow Swans) to release his own work. Swanson connected with the folks behind RVNG, along with drummer Jed Bindeman, to take the label in a broader direction, to unearth "autonomous anomalies produced by musicians working within and outside the limits of technology to create intimate art." The collective's inaugural release was Eye Chant, a reissued cassette from American synthesist Michele Mercure, a relatively obscure artist who channelled kosmische electronics through her own autodidactic lens. 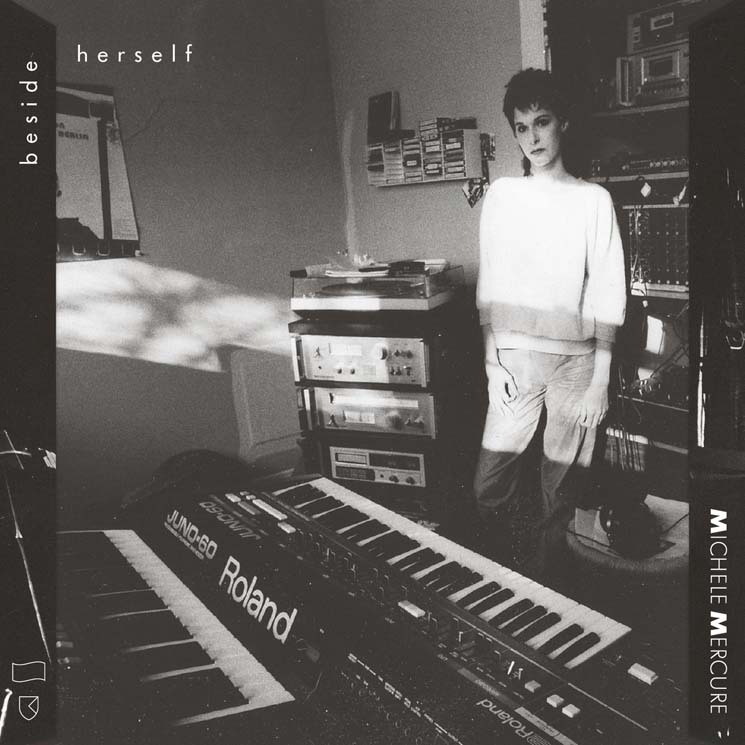 This time around, RVNG Intl chose to share the credit for Beside Herself, a lovingly compiled career retrospective of Mercure's self-produced cassette releases, with Freedom to Spend. Originally concocted between 1983 and 1990, the works unveiled herein span a variety of oblique modes that sit somewhere on the spectrum between commercial electronic pop and outright unorthodox experimentalism.